A previous post discussed the November 13, 1901, formation of the Northern Securities Company by J. P. Morgan and James J. Hill to be a holding company for the common stock of two competing railroads (the Great Northern and the Northern Pacific) and the subsequent successful lawsuit by the President Theodore Roosevelt Administration alleging that this combination violated the Sherman Act’s prohibition of combinations in restraint of interstate trade and commerce. The prequel to all of that was first the battle for control of the Chicago, Burlington and Quincy Railroad that provided access to Chicago. The contestants were (a) the Great Northern/Northern Pacific Railways, which were controlled by Hill and Morgan, and (b) the Union Pacific Railroad, which was controlled by Edward H. Harriman and Jacob Schiff. Hill and Morgan won that round, in April 1901, and they put the Quincy stock into the Northern Pacific. 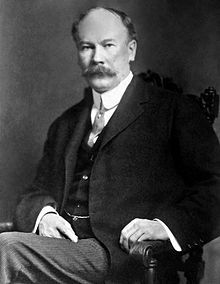 Harriman with the backing of Schiff of the Wall Street banking firm of Kuehn Loeb in April-May 1901 then surreptitiously started to buy Northern Pacific common and preferred stock on the open market in an effort to gain control of the Northern Pacific and thereby the Quincy. Once Hill and Morgan realized what was happening, they started to buy Northern Pacific shares. This buying activity resulted in large and continued increases in the price of the stock. Others in the stock market obviously noticed this activity and the upward jumps in price. Many started to sell Northern Pacific stock ‘short,” i.e., selling more shares than they owned at what many believed to be unsustainable high prices with the expectation they could buy the stock later at a lower price and thereby make a profit. That did not happen. The market was ‘cornered” with more shares committed to be sold than could be delivered. This forced speculators to sell other stocks to raise cash to buy Northern Pacific shares, resulting in the destabilization of the entire stock market. This Wall Street Panic ended on May 9, 1901, when Harriman and Schiff capitulated to the victory of Hill and Morgan over Northern Pacific with an agreement for Hill and Morgan to bail out the shorts and thus restore market stability in return for Harriman and Schiff ‘s agreeing to end their effort to gain control of the Northern Pacific. 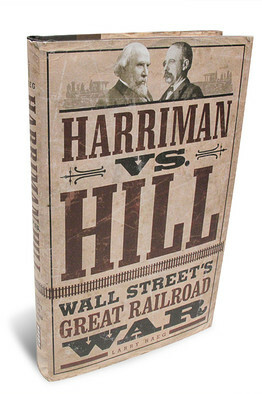 This post is based upon Larry Haeg, Harriman vs. Hill: Wall Street’s Great Railroad War (Univ. 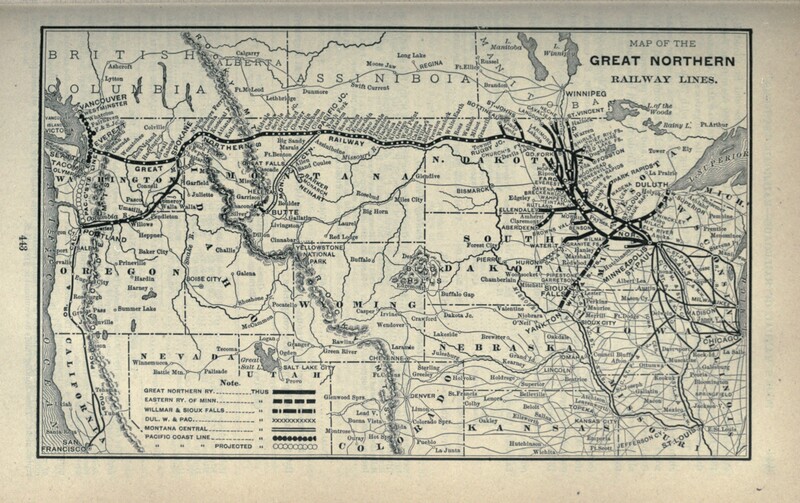 Minn. Press; Minneapolis, MN; 2013); Michael P. Malone, James J. Hill: Empire Builder of the Northwest, ch. 6 (Univ. Okla. Press; Norman OK; 1996); Albro Martin, James J. Hill & the Opening of the Northwest , ch. 17 ((MN. Historical Soc’y Press; St. Paul MN; 1976). Haeg at 79-80, 106. Baker is of particular interest for me because I wan awarded a George F. Baker Scholarship for my four years at Grinnell College in Iowa. 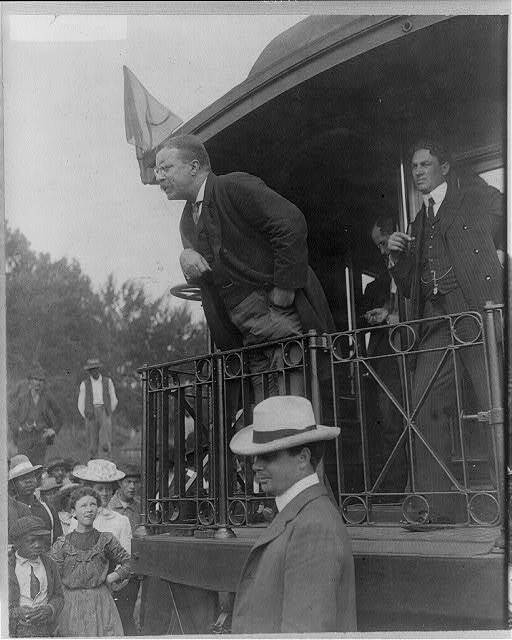 As mentioned in an earlier post, one of President Theodore Roosevelt’s major efforts to enhance federal regulation of railroads in his first term was his Administration’s commencement of an antitrust lawsuit under the Sherman Act against the Northern Securities Company, which combined the stocks of two competing railroads from the Great Lakes and the Mississippi River to Puget Sound on the Pacific Coast. The late 19th century was an era of “trusts” and of “combinations” of businesses and of capital organized and directed to control of the market by suppression of competition in the marketing of goods and services, the monopolistic tendency of which had become a matter of public concern. The prescribed penalty for such misdemeanors was a fine up to $5,000 or imprisonment not exceeding one year or both. In addition, the circuit courts (n/k/a district courts) were “invested with jurisdiction to prevent and restrain violations” of the statute (Section 4), and persons injured in their business or property by any violations could sue the perpetrators for treble damages and attorneys’ fees (Section 7). The goal of the Sherman Act was to prevent restraints of free competition in business and commercial transactions that tended to restrict production, raise prices, or otherwise control the market to the detriment of purchasers or consumers of goods and services. 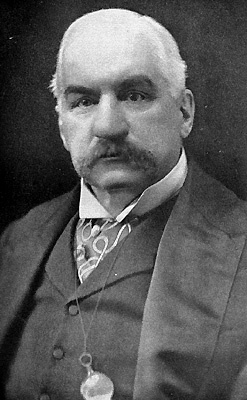 On November 13, 1901 (only two months after Roosevelt became President), J. P. Morgan, who controlled 21 railroads, including the Northern Pacific, and James J. Hill of the Great Northern  announced the formation of the Northern Securities Company to be a holding company for the common stock of the two competing railroads, This new combination was the second largest company in the world with annual revenues of $100 million and covering commerce from Chicago to Seattle and extending to China over Mr. Hill’s shipping lines. A New York newspaper saw the new company as another step toward universal monopoly. The U.S. stock market immediately registered significant declines with similar reactions in London, Paris and Berlin markets. 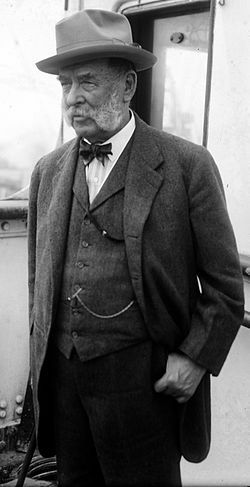 In response, J. P. Morgan starting buying stocks in great quantities and helped to stop a panic. The bill in equity (or “complaint” in today’s terminology) thereafter was filed with the U.S. Circuit Court for the District of Minnesota. The complaint charged that the Northern Securities was an illegal “combination in the form of trust or otherwise, or conspiracy, in restraint of trade or commerce among the several states” (Sherman Act § 1). The Great Northern and Northern Pacific owned railroad lines from Minnesota to Puget Sound that are parallel and competing lines. These two railroads in 1901 jointly acquired 98% of the capital stock of the Chicago, Burlington & Quincy Railway. 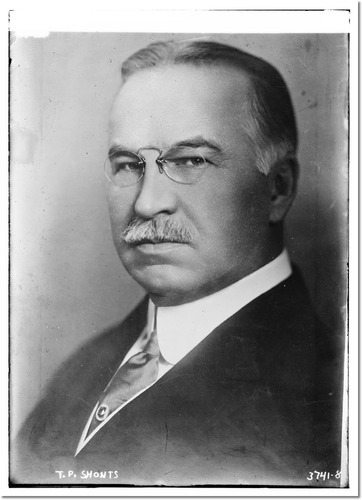 Thereafter in 1901 James J. Hill, J. P. Morgan and six other men, all of whom were defendants in the case and collectively had practical control of the two principal railroads, arranged to place a large majority of the stock of the two railroads in a holding company, Northern Securities, and that was done. As a result, the control of these two railroads was put into a single person and thereby “destroyed every motive for competition” between them. Therefore, the court entered a decree that the defendants had violated section 1 of The Sherman Act and that Northern Securities was enjoined from acquiring additional stock of the two railroads, from voting its holdings of those shares and from exercising or attempting to exercise any control or direction over the two railroads. Northern Securities, however, was permitted to rescind its acquisitions of the stock of the two railroads. The case then went directly to the U.S. Supreme Court,  which on December 14, 1903, heard arguments. Attorney General Knox appeared for the Government and made what many thought was a brilliant argument without any questions from the Justices. A dissenting opinion was filed by Mr. Justice Edward Douglas White and joined by Chief Justice Melville Fuller and Justices Rufus Wheeler Peckham and Oliver Wendell Holmes. This opinion concluded that the constitutional power of the federal government over interstate commerce did not extend to cover Northern Securities Company’s acquisition of the common stock of the two railroads. The high court’s action was a major victory for the administration and put the business community on notice that although this was a Republican administration, it would not give business free rein to operate without regard for the public welfare. 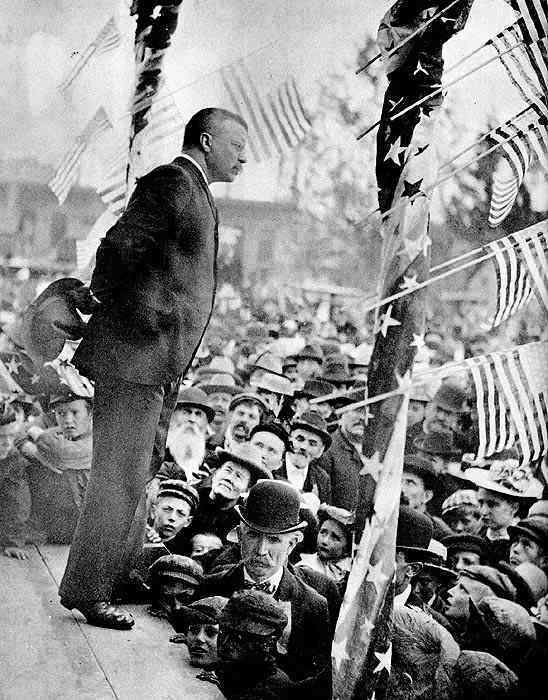 It should also be noted that at the time of this speech, Brown was a Vice President of the New York Central Railway, two of whose directors were defendants in the case: J. P. Morgan, a principal architect and beneficiary of the formation of the Northern Securities Company, and George F. Baker. Seven years later, in 1911, the approach to interpreting the Sherman act advocated by Justice Brewer and W. C. Brown was in fact adopted by the U.S. Supreme Court. In Standard Oil Co. v. United States, 221 U.S. 1 (1911), the Court, 8 to 1, stated that only combinations and contracts unreasonably restraining interstate or foreign commerce were illegal under the Sherman Act. Justice John Marshall Harlan, the lone dissenter in this case and the author of the Court’s opinion in Northern Securities, said the Rule of Reason was a departure from previous Sherman Act case law, which purportedly had interpreted the language of the Sherman Act to hold that all contracts restraining trade were prohibited, regardless of whether the restraint actually produced ill effects. Thereafter the Court unanimously reaffirmed the Rule of Reason in two cases: United States v. American Tobacco Co., 221 U.S. 106 (1911) (section 2 of the Sherman Act did not ban the mere possession of a monopoly but only the unreasonable acquisition and/or maintenance of monopoly); Chicago Board of Trade v. United States, 246 U.S. 231 (1918) (agreement between rivals limiting rivalry on price after an exchange was closed was reasonable and thus legal). Subsequent Supreme Court cases established the concept of per se violations of Section 1 of the Sherman Act. These are “agreements, conspiracies or trusts in restraint of trade” that have been found to have a “pernicious effect on competition” or “lack any redeeming virtue” and include competitors’ agreements to fix their prices or divide markets between them and concerted refusals to deal. For other alleged violations of section 1 of the Sherman Act, the courts engage in a “rule of reason” analysis to evaluate the intent and purpose of the conduct, the facts peculiar to the business and industry, the history of the conduct and its effect on competition. If the result of this judicial analysis is the conduct unreasonably restrains trade, it is a violation of section 1. This post is based upon Edmund Morris, Theodore Rex at 59-65, 87-95, 219, 304-05, 313-16 (Random House; New York; 2001); MIller Center, Theodore Roosevelt: Domestic Affairs; and the other sources cited below. The James J. Hill House is a St. Paul mansion now open to the public and operated by the Minnesota Historical Society. J.P. Morgan and George F. Baker were also directors of the New York Central Railway, and I was a beneficiary of Baker’s wealth as a George F. Baker Scholar at Grinnell College, 1957-1961. Morgan’s Manhattan Library is now the Morgan Library & Museum that is open to the public. As of 1903 nine U.S. circuit courts had jurisdiction over trials of all civil suits initiated by the U. S. Government in different parts of the country, and the circuit court that covered the State of Minnesota (the Eighth Circuit) had four Circuit Judges (Henry C. Caldwell, Walter H. Sanborn, Amos M. Thayer and Willis Van Devanter). As of January 1, 1912, these courts were abolished, and the previously established U. S. district courts assumed jurisdiction over all civil and criminal cases in the federal courts. W.C. Brown, Address before the Meeting of the Illinois Manufacturers Association, Chicago, Illinois (May 23, 1904); Supreme Court Influenced, N.Y. Times (May 24, 1904). My great-great-uncle, William Carlos (or W.C.) Brown, was a senior executive of the New York Central Railroad when Manhattan’s Grand Central Terminal was built in the early 20th century at 42nd Street and Park Avenue. 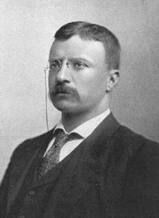 He was one of its Vice Presidents, 1902-1906; Senior Vice President, 1906-1909; and President, 1909-1913. As we will see in this post, W.C. rose to these important positions with the New York Central from very modest beginnings. He was a 19th century railroading success story. On July 29, 1853, W.C. and his twin brother, George Lyon, were born in Norway, New York. His father was my maternal great-great-grandfather, Rev. Charles Edwin Brown, who was recuperating in his native upstate New York from “inflammatory rheumatism” he had caught while working as a Baptist missionary in the Iowa Territory (and State after 1846). W.C.’s mother (and my maternal great-great-grandmother) was Frances Lyon Brown. Four years later (July 1857) Rev. Brown returned to Iowa to continue his missionary work in the northeastern part of that State. Going with him were his wife and their four sons: Charles Perry, 17 years old; James DeGrush (my maternal great-grandfather), 11 years old; and the four-year old twins, William and George. William in 1869, at the age of 16, after being educated at home and in schools in small towns, started working as a “section hand and wooder” in Illinois for the Chicago, Milwaukee & St. Louis Railroad [“the Milwaukee Road”]. During the day W.C. loaded, unloaded and piled wood that powered the seam-engines of the locomotives. At night he learned telegraphy skills from the station agent. This was the start of Brown’s 33-year journey in the railroad industry to become a senior executive of the New York Central Railroad in New York City. By the spring of 1870 he was a telegraph operator for the Milwaukee Road in Iowa, and the next year (1871) he was promoted to night-operator at the Road’s train dispatcher’s office in Minneapolis, Minnesota. In 1872 W.C. left the Milwaukee Road to join the Illinois Central Railroad as train dispatcher in Iowa. Three years later, in 1875, he was hired in the same position at another Iowa town by the Chicago, Rock Island & Pacific Railroad. The Chicago, Burlington & Quincy Railroad (“the Burlington Road”) was the next stop on W.C.’s advancement in railroading for the next 18 years. From 1876 to 1880 he was a train dispatcher in Iowa, and during a blizzard he volunteered to help rescue cattle from 400 stalled cattle-cars. This demonstration of ability to act in an emergency and his other skills brought him successive promotions to chief dispatcher, trainmaster, assistant superintendent and then superintendent for the Burlington Road from 1880 to 1890. 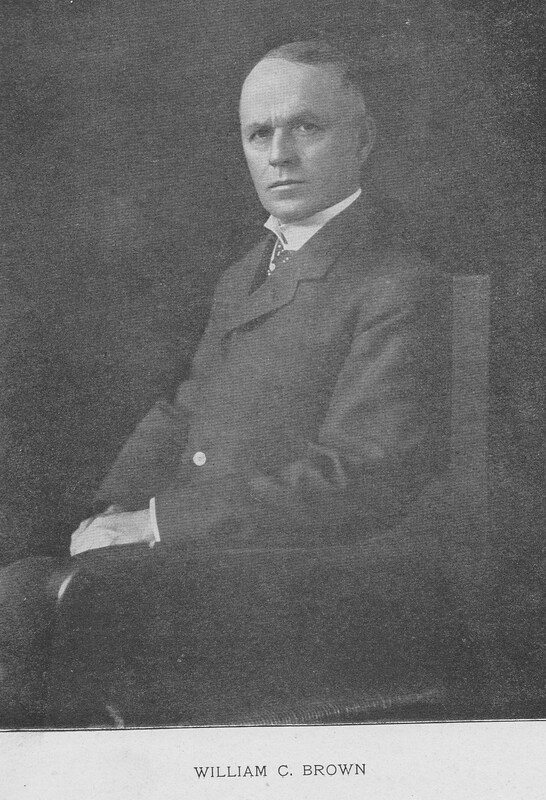 Brown remained with the Burlington until 1901 when at age 48 he joined the New York Central system as Vice President and General Manager of its Lake Shore & Michigan Southern Railroad, which ran from Buffalo along the southern shore of Lake Erie through Cleveland, Toledo, and South Bend to Chicago, and of its Lake Erie & Western Railroad, which ran from Fremont Ohio to Bloomington Illinois. 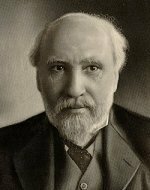 Thus, over his past 33 years, W.C. had advanced from a manual laborer handling wood for steam-engines to become the C.E.O. of two railroads affiliated with the New York Central Railroad. He did this with the modest education available in small towns on the prairie. This remarkable journey shows the amazing employment opportunities then available in railroading before the age of university business education. During this period of career advancement, W.C. married his sweetheart from Lime Springs, Mary “Ella” Hewitt, in 1874 in her parents’ home in the town, and their five children were born: Georgia Frances Brown, 1875; Charles Edwin “Eddie” Brown, 1877; Lura Belle Brown, 1880; Bertha Adelaide Brown, 1882; and Margaret Heddens Brown, 1891. Two of the children died during this period: “Eddie” Brown, 1882; and Lura Belle, 1882, while Georgia Frances was married to Dr. Frank Ellis Pierce, 1899. Subsequent posts will look at what the New York Central looked like at the start of the 20th century, at W.C.’s career with the New York Central, his retirement, his being charged (but not prosecuted) with a federal crime, and his death. A prior post discussed the Terminal on its centennial in 2013 with other details provided in another post. Other posts discussed Rev. Brown’s lineage in America, his initial trip to the Iowa Territory in 1842, his missionary work in that Territory (and State), 1842-1851; and his recuperation in New York State, 1851-1857. Another post was about Rev. Brown’s missionary work in Iowa, 1857-1887. An earlier post focused on my maternal great-grandparents, James DeGrush and Ella Francelia Dye Brown. Two of W.C.’s brothers also went into railroading. His twin brother, George Lyon, was a trainman for the Milwaukee Road, but died at age 18 in 1871 from injuries received while coupling railroad cars in St. Paul, Minnesota. Another brother (and my maternal great-grandfather), James DeGrush Brown, worked in railroading his entire working life. 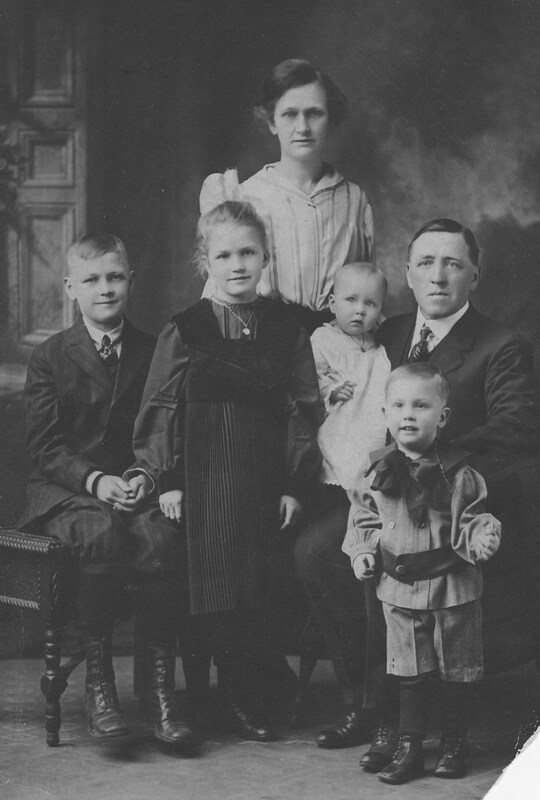 My maternal grandfather, George Edwin Brown, was born on May 30, 1876, in Lime Springs, Iowa. He was the son of my maternal first great-grandparents, James DeGrush Brown and Ella Francelia Dye Brown. George was employed by the Chicago, Burlington and Quincy Railroad in Ottumwa, Iowa. 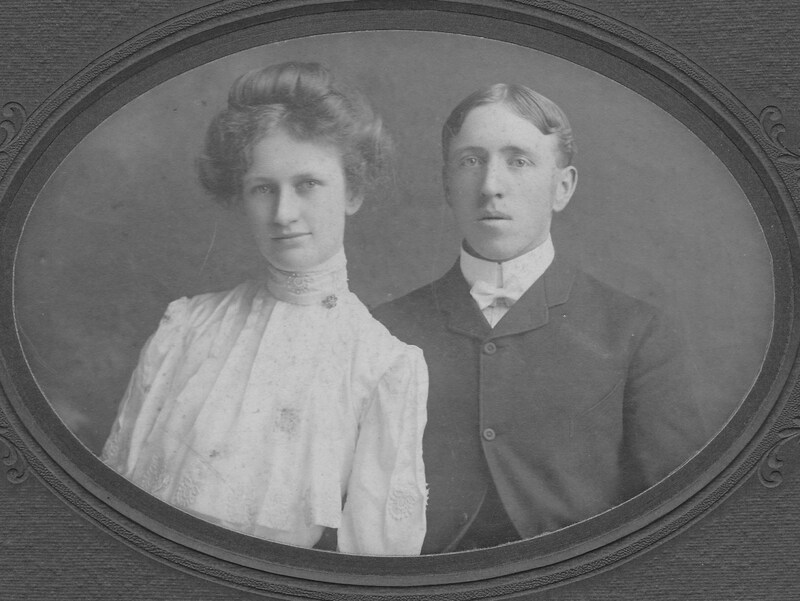 On March 4, 1903, he married Jennie Olivia Johnson (my maternal grandmother), who was born in Ottumwa on February 28, 1881. Her parents were Sven Peter Johnson and Johanna Christina Magnusson from Sweden. George died in Ottumwa on September 29, 1931, before I was born. Jennie died in Ottumwa on December 9, 1945, when I was six years old. I have vague memories of visiting her in her home and of her warm, loving hugs. The source is Carol Willits Brown, William Brown–English Immigrant of Hatfield and Leicester, Massachusetts, and His Descendants c. 1669-1994 (Gateway Press; Baltimore, MD 1994).